IKEA SPOTTER: Captain Jack gets around. While I was having my Torchwood marathon I decided I was also going to watch the cross-over episodes of Doctor Who in proper chronological order. After the end of Torchwood series 1 Captain Jack caught up again with the Doctor and stayed with him for the last few episodes in series 3 (2007). 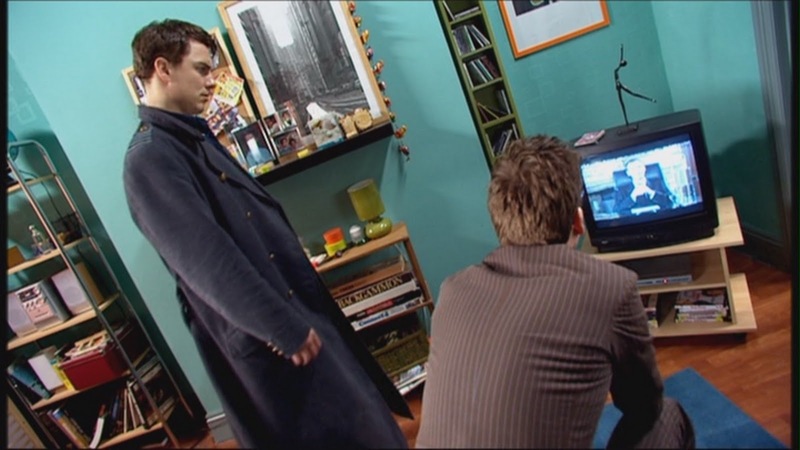 It was in one of these episodes where we see Martha's (the Doctor's companion in series 3) apartment and in it are some IKEA furnishings. There is a LEKSVIK rack in the corner by the door. I like this shot because it shows the rack reflected in the mirror and you are looking through the de-materializing TARDIS. (For the record, this screencap comes from episode 6 while the rest are from episode 12) Also - that laundry rack is the same one seen in Gwen's apartment in Torchwood. Can anyone say if that is older IKEA product or another popular brand available in Wales? As always, click for larger image. Black MALMA mirrors on the side wall. 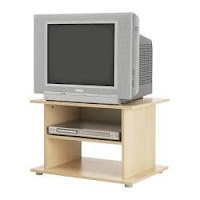 FLARKE TV stand (discontinued) and BENNO DVD shelf. 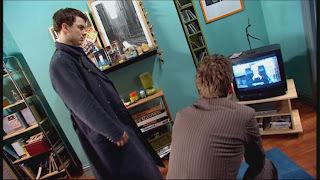 A green LYKTA lamp is on the shelf between Jack & the Doctor. In the kitchen is a MAGASIN dish drainer. 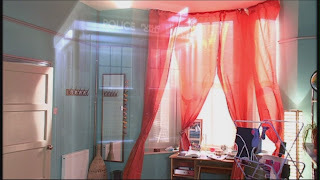 While trying to find the other episode which featured Martha's apartment I stumbled on her mother's kitchen. 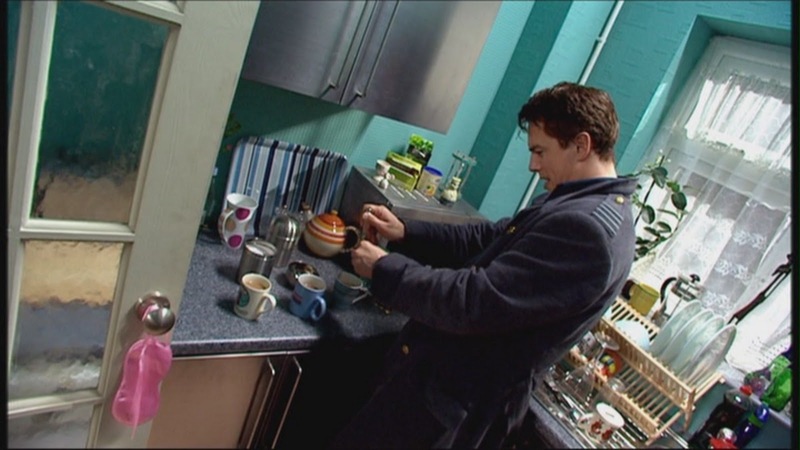 In series 3, episode 7 there a VÄRDE equipped kitchen. 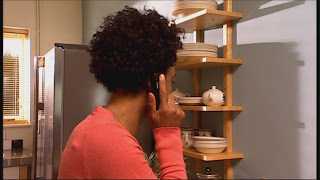 In this photo you can see the wall shelf with 5 hooks and sink cabinet. 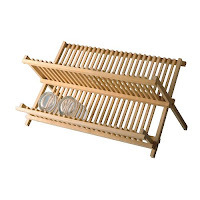 There is another VÄRDE wall shelf on the opposite wall. Since that has been 3 posts in a row dedicated to Torchwood/Doctor Who I promise I will switch it up on the next one.